HubMonks are blessed with all aspects of PSD to HubSpot CMS web development. Skilled, deeply rooted to the HubSpot environment, robust processes, and best in the industry customer support….this is what you will feel once you work with us. Our HubSpot CMS certified developers empower marketers with customized web templates to boost their inbound marketing campaigns. We help our clients by embedding their vision into HubSpot web templates. Just provide your designs and our certified web developers will seamlessly convert them into web templates that suit your expectations to the “T.” We convert designs into the following templates that help you lead from the front with high ROI campaigns. Custom websites require detailed attention. Power-pack your website designs with the most advanced features and leave it on the monks to create a 100% responsive, HubSpot ready website with a bunch of interactivity to engage your prospects. Your big lead generation ideas are converted into live landing page experiences at HubMonks. 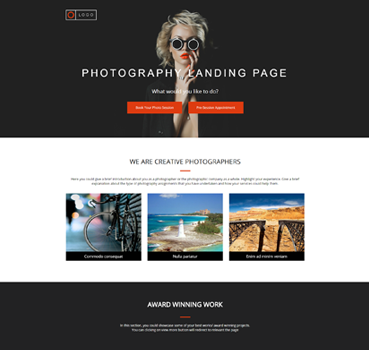 With the right mix of CMS and inbound certified experts we grasp your inbound vision and incorporate it into a perfectly coded landing page that is rooted to HubSpot. We help you make your leads a part of your business environment with interactive email experiences based on HubSpot. Simply provide us your designs with custom specifications and we will deliver 100% responsive, cross-browser compatible email templates for high conversion. An inbound blog has to create a memorable impression on the visitors. It should have the right mix of readability, usability and conversion to create a win-win situation. Our HubSpotters will engineer your designs into HubSpot CMS blog experiences that enable users to understand, utilize, and communicate with the blog. Whether you are looking for basic HubSpot integrations or complete HubSpot migration, our HubSpot CMS experts will help you in every way to implement the HubSpot technology to your online assets. Simply let us know your requirements and we will get back to you at the earliest. Working remotely with a team is complicated. However, with the right mix of tools and technology, HubMonks have simplified the communication process for a friendly and enjoyable conversation. At HubMonks we haven’t just accepted HubSpot CMS as it is. We have unveiled the hidden power of HubSpot to embed even complex requirements in your web templates. We know that you have marketing activities to perform on every page at various points of time. Thus, we provide an organized template in terms of coding and design that could be edited by marketers or developers at any given time. Check out the live blog template we developed for Hello Social for their custom specifications. The Design And Construct team wanted to build a custom website on HubSpot COS. We were happy to serve them. This movie ticket-booking template is a visual-treat for entertainment seekers. 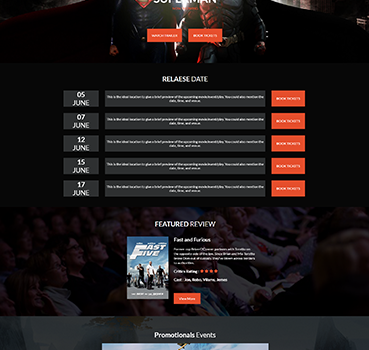 Delight the visitors with trailers, movie dates, and ticket booking all in one template. Let your customers book table or check out what’s in the menu. 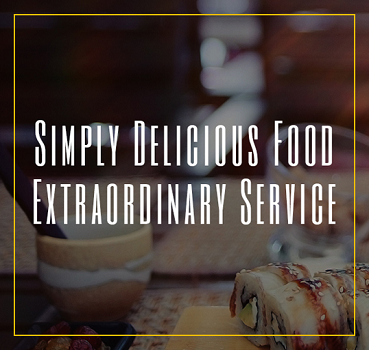 Our restaurant landing page has the perfect mix to generate more business and boost ROI. "I found HubMonks to be incredibly responsive and very professional. I submitted a quote, got a response back within 48 hours and the work was done on time and a bit ahead of schedule. I have nothing but high praise for you and your team." "Love working with Hubmonks. Great, responsive team with fast turnaround times and always happy to help with last minute briefs. Highly recommended, couldn’t do without them." "WELL-DESERVED PRAISE Despite several complexities during the initial phase of the project, Hubmonks were always very accommodating to our requests and active in their replies. They were flexible and took initiative to suggest better designs for us and felt part of our team. They are well versed in the Hubspot CMS and were able to customize it efficiently to our wants. I would recommend Hubmonks to anyone looking to scale their website for growth on Hubspot. Our website is finally something we can be proud of, thanks to Hubmonks!" "I wanted to thank the team over at Hub Monks for coming through for us when we really needed them. We were in a crunch for a project and needed overflow support. The monks not only came through for us, but they were really good! They got through all the functionality, QA and final updates and provided us with a FINISHED solution. We will definitely look to the monks in the future for overflow support, and couldn't have been happier with the work and communication." "I had the pleasure of working with HubMonks on my company website migration to Hubspot. They did great work and were responsive to any changes that we requested along the way. We look forward to continue working with them for all our Hubspot site needs"
"I have been extremely happy with the landing pages and blog Hubmonks developed for us. They made the process simple and easy, getting the project finished before schedule. Additionally, they took feedback perfectly and had changes for us to review by the next day." "We have been using the Monks for a year now and they have become our outsourced partner for all our web and email needs. The quality of work they deliver is very high and it is always on time and on budget. They are friendly and responsive, and I am happy to recommend them to anyone who needs a reliable web partner." "Thank you for your great work, as always! We really appreciate the quick turnaround time." HubMonks enabled us to cost-effectively scale our development resources and bring to market an extensive and attractive HubSpot site within a very compressed schedule. Their support of us was essential to our web marketing efforts. I highly recommend them. Interested to talk? Provide your details.